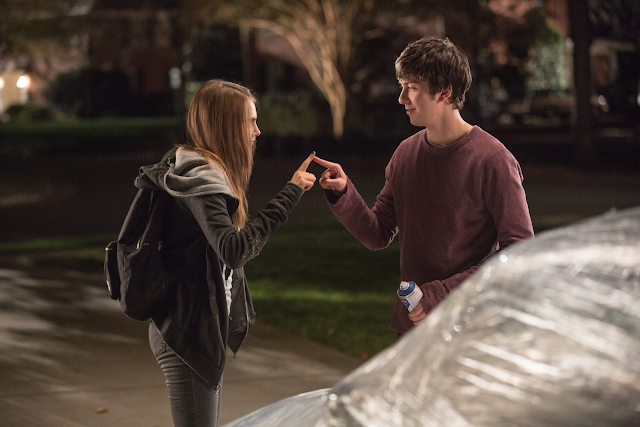 Coming off the back of the hugely successful The Fault in Our Stars, all eyes are on latest John Green adaption Paper Towns, and judging by the new trailer, there’ll be a lot to like. Sure, the closed off youngster having his eyes opened by the mysterious girl next door is coming age 101, but Nat Wolff (best known as blind kid Isacc in The Fault in Our Stars) makes for a likeable lead, and the central premise is unique enough to grab your attention. Synopsis: PAPER TOWNS is a coming-of-age story centring on Quentin and his enigmatic neighbour Margo, who loved mysteries so much she became one. After taking him on an all-night adventure through their hometown, Margo suddenly disappears--leaving behind cryptic clues for Quentin to decipher. The search leads Quentin and his quick-witted friends on an exhilarating adventure that is equal parts hilarious and moving. Ultimately, to track down Margo, Quentin must find a deeper understanding of true friendship--and true love.